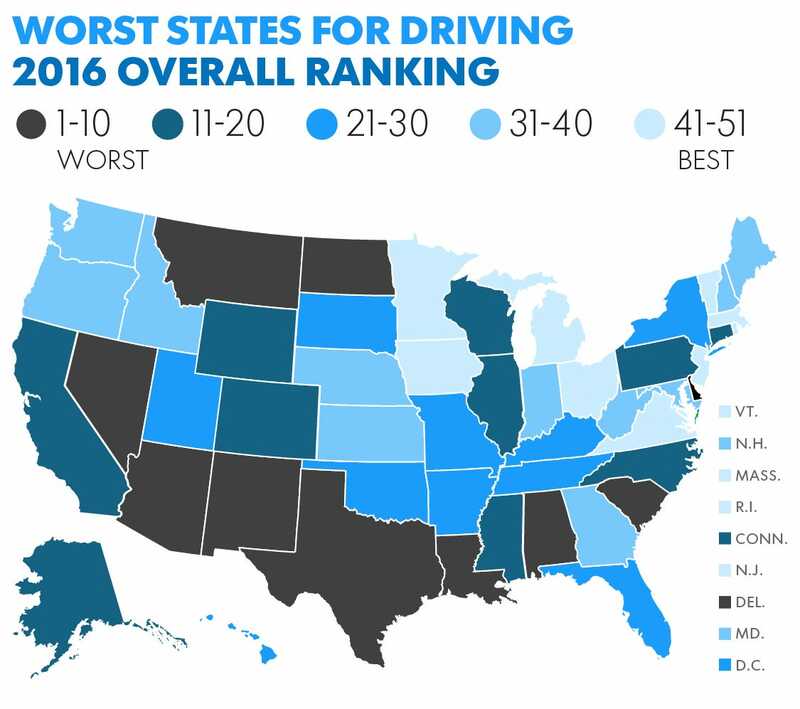 Makeover Monday: Where are America's Best Drivers? A filled map doesn’t add much value since there aren’t any apparently regional trend. Just because you have States, that doesn’t mean you MUST have a map. They have three separate maps, which makes it hard to compare them. For me, it’s counterintuitive to have 1 as the worst and 51 as the best. It’s a very negative message. Wouldn’t something a bit more positive be better during the holiday season? For my view, I’ve included all of the metrics in a single view, allowed the user to sort by the value they are most interested in, and also reversed the axis, so the best is on the left. I liked their color palette, so I’ve re-used that. My titles also update dynamically based on the metric selected since the purpose of the view changes.